Chennai's rainy weather calls for some hot and fresh comfort food which one can enjoy with their loved ones. Cafe Chef's Paradise is one such restaurant that will satiate all your cravings for cheesy, spicy, hot food, whatever be your palette. 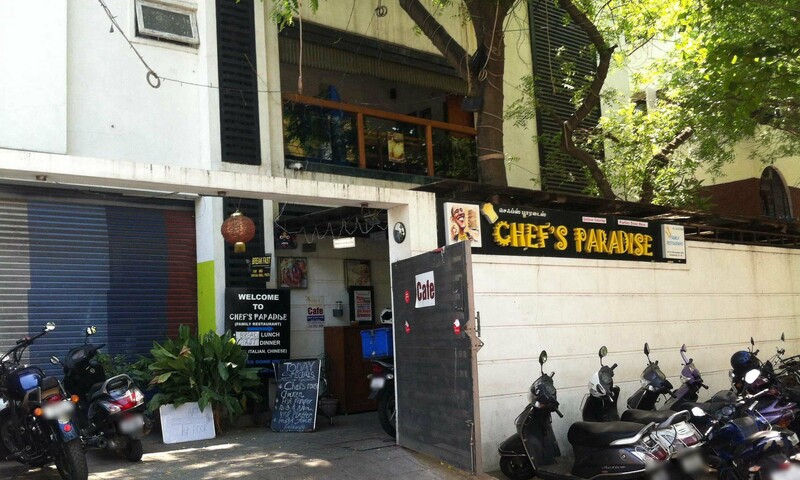 Located in Shakthi Nagar, this small eatery is the perfect hang out spot for those looking to indulge in Italian and Chinese food along with some favourite fast food dishes. The warm and inviting ambiance of the cafe, coupled with an endless menu, makes this the preferred choice for the young and adults alike.